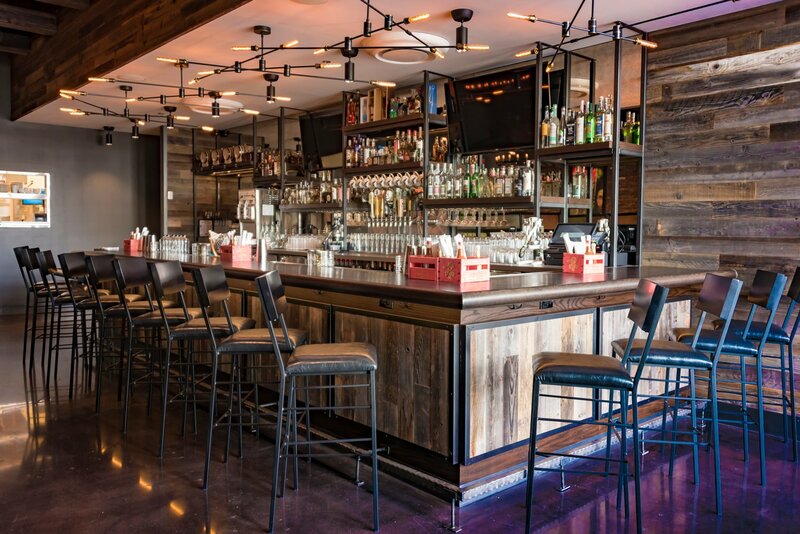 Tacos and tequila are on the menu at Navy Yard restaurant Él Bebe. Photography by Lauren Bulbin. 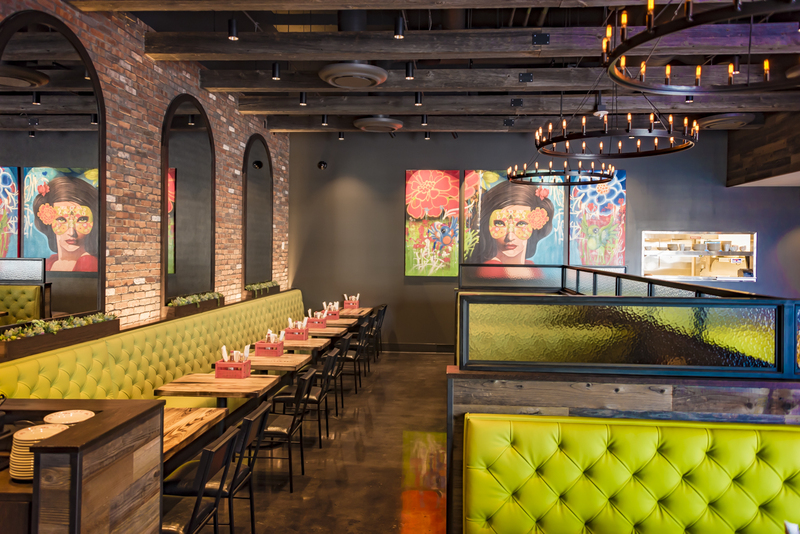 Fans headed to Nationals Park and Audi Field have a new spot for game day tacos and tequila at Él Bebe, opening today in Navy Yard. Metropolitan Hospitality Group signed the lease for the 3,3000 square foot space near the ballpark almost three years ago. One part was set to become a fourth location of their modern American bistro chain, Circa. The other remained a mystery. As MHG began brainstorming concepts, the Falls Church-based group strayed away from their typical process of looking at the neighborhood’s demographics and needs. Instead, MHG president Matthew Carlin looked within his company and polled everyone from social media-savvy millennials to older executives. Carlin describes the process as “incredibly fun, hysterical and exhausting,” with one point of unanimous agreement: tacos. The pork belly taco is inspired by the flavors of a banh-mi sandwich. The result is a collaborative menu. The team loved the Peruvian green sauce chef Javier Loayza made for family meal one night so you’ll find a version with mini beef empanadas. The tres leches cake is a version of the one Chief Operating Officer Vince Spinoso’s wife bakes for birthday parties. 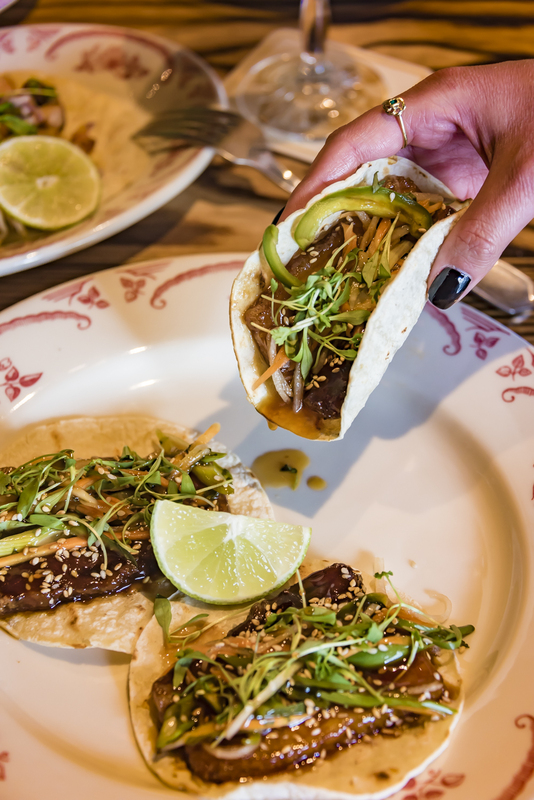 Though you’ll find classics like guacamole, ceviche, and chicken mole enchiladas, the menu isn’t traditional—especially when it comes to the 11-odd tacos like banh mi-inspired pork belly with a soy glaze and pickled vegetable slaw, or vegetarian options such as beer-battered cauliflower. 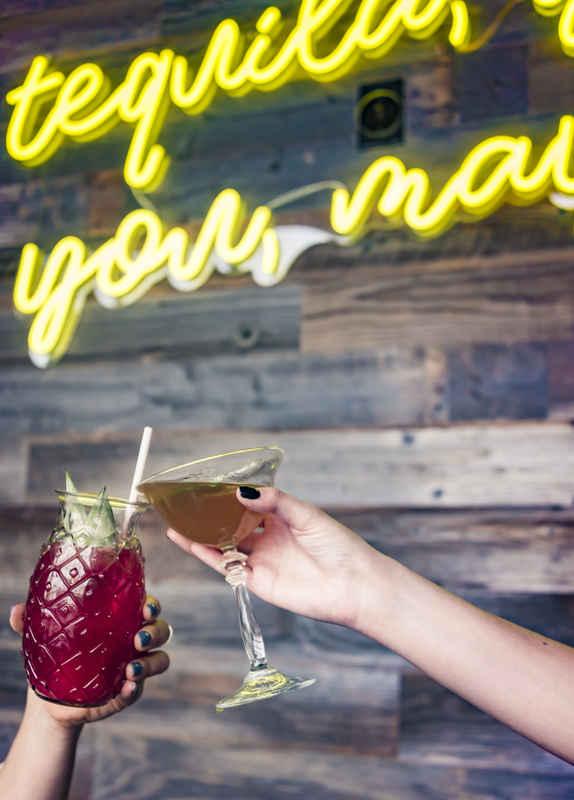 Tequila and tacos are on the menu at Él Bebe. With the restaurant’s close proximity to Nationals Park and Audi Field, creating a pre-game, post-work happy hour was a priority. The deals are available throughout the entire space, indoors and outdoors, five days a week. Specials includes $2 chips and salsa, $4 Tecate and Corona cans, and $6 margaritas. The classic and frozen margaritas come with a rim of salted chili powder, or guests can turn up the heat with dehydrated jalapeños. 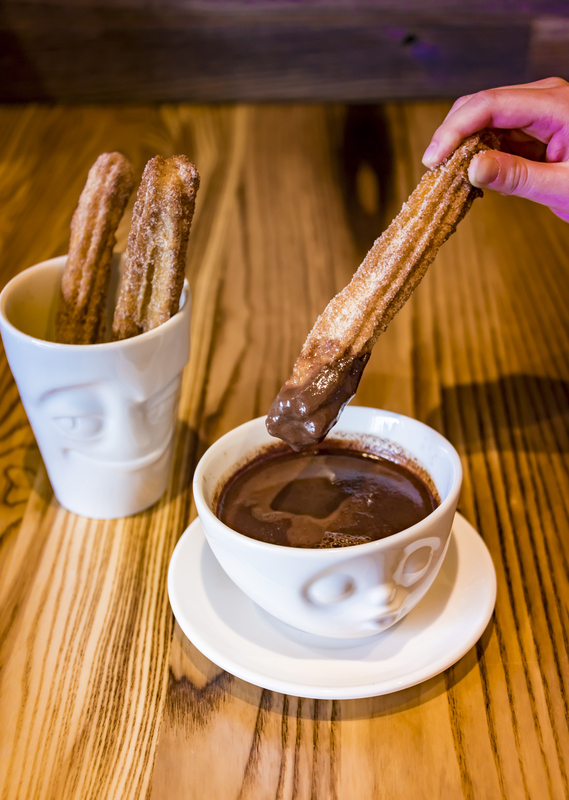 Dip churros into chocolate for dessert. Miami-based artist Miguel Paredes is behind the paintings that brighten the dimly lit space. Zero in on the one of a dancing man above a chartreuse banquette to find hidden symbols in his tattoo sleeves. A painting by Miami-based artist Miguel Paredes overlooks the dining room. Like so many restaurants these days, the decor was designed with Instagram in mind—think a neon “tequila yes, you maybe” sign and a mustache mug for a mezcal and dry ice cocktail dubbed My Paloma is Smoking. Even the bar is outfitted with outlets and USB ports to charge waning batteries. Mustache mugs for a mezcal and dry ice drink, My Paloma is Smoking. 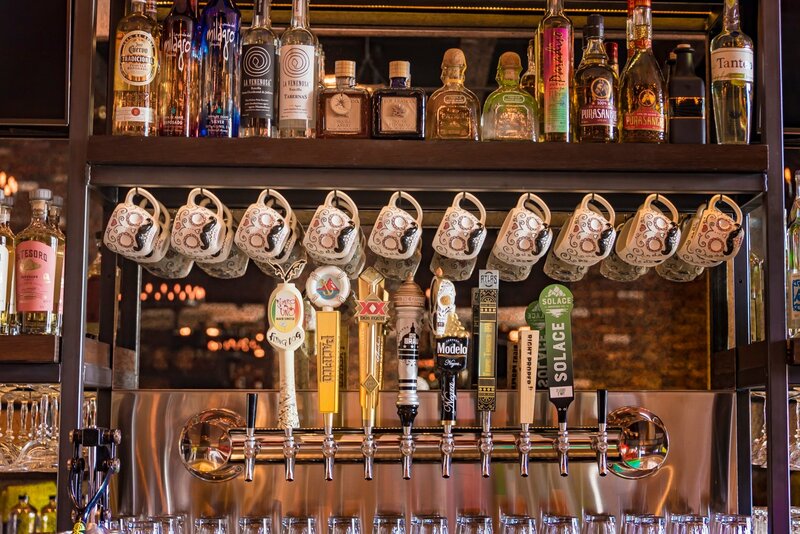 Él Bebe is open for happy hour and dinner service starting at 4 PM. In upcoming weeks, the restaurant will also begin serving lunch. Él Bebe. 99 M St., SE. The bar has outlets and USBs to charge a phone after work or before a Nationals game.